I have enjoyed working with a broad range of clients, from boutique production companies to global advertising and business giants. Please see below for an overview of my clients, and don't hesitate to get in touch for more information. I have had the pleasure of collaborating with Alex on a number of media productions and he is not only blessed with an incredibly versatile voice but combines that with a truly professional approach. I look forward to working with him again in the near future. Alex did an amazing job. He was extremely flexible and responsive to my needs. Even as my client changed his mind about certain things, Alex was able to accommodate my client's concerns. Totally recommend him! Alex is one of the most talented professionals I've worked with. As a voice over artist he gives 1000% all the time. He is a pleasure to work with; always on time, highly creative, adapts to every style of audiovisual project with absolute ease and our clients always love his work. And as a singer songwriter he is outstanding. I only wish we could work with him more often! Alex was of great support in finding exactly the right tone of voice. He submitted a number of different reads and interpreted what we needed beyond the instructions we provided. A true professional and a pleasure to work with. High quality recording and extremely fast turnaround time! What more could one ask for? 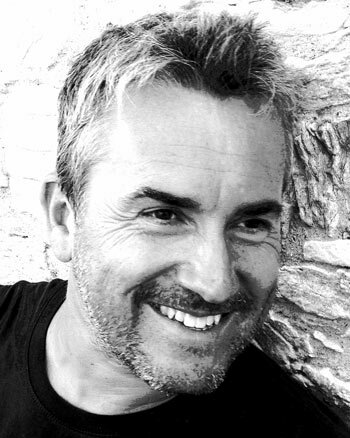 Alex Warner is a standout among voice talents. While working with Alex on voice-overs for TV programmes and a very broad range of other audio-visual productions, we discovered that his range was even broader. Not only vocally but also in terms of his ability to improve even the best VO script further through a keen sense for pace, timing and good storytelling. Whatever we do with an English voice in off, Alex is our first and only choice. As long as we can afford him ;-) So far we could, no problem! I have posted a job on voices.com, for a telephone on hold messages project and by the deadline I have received 93 bids. I have chosen Alex and have exchanged several emails with him and found him friendly, responsive and exceptionally professional. I will definitely come back to him for any future job and will refer him to others. Thank you Alex. Amazing work! Super professional and extremely quick turnaround. Absolutely would work with him again! Thanks Alex! A true professional and a pleasure to work with, thank you. Great voice. We needed him to use a different tone on this project and he nailed it on the 1st try. I highly recommend Alex Warner. I have worked with Alex for many years He's an excellent voice over talent with lots of registers and different tones and that he's also a great professional singer. Great to work with, easy going and very professional. Powerful voice with great range, compelling performance, pro recording and pleasure to work with. What else could I ask for? Oh, he can sing too! Thanks for your very prompt response and fabulous voice files. We're very pleased with the v/o. Alex narration of our script was superb! Just the right inflection to get the meaning across and such a good voice that it makes you WANT to listen.Very fast turnaround with our short schedule. Professional all the way. I would love to work with you again. Your performance was fantastic and you were extremely easy to work with. Whenever I feel your voice is a good fit for a title I will be sure to see if you are interested. Thanks so much! Alex has a great range. We've used him a couple of times now, and he's consistent, prompt, and delivers very high-quality work. It was an absolute dream working with Alex! He is very professional and understood our needs instinctively! We have another project we are preparing and will definitely ask Alex to assist us. Awesome voice! Great experience! I wish I could give him 10 stars. Thank you for doing such a wonderful job. We at Team CARIBUY.TV are very happy to have you work with us on our publicity campaigns. We have finalised some material for the campaign and look forward to having you work your magic with our script. Great voice - nice attitude! Quick and responsive. Very pleasant to work with. Alex has a great working attitude and very professional. His voice was really awesome and really made the project what it is. Thanks Alex! Alex made everything so easy, he understood the whole idea right away and with his great talent he made our production sound incredible! Thank you for your great professionalism Alex. Alex is a consumate professional. I had the pleasure of working with him on a recent production and he not only delivered to extremely high standards but was always open to feedback and providing any changes/alterations which the production required. His voice has a unique power and assertiveness and I very much look forward to working with him again. Great work! Prompt professional and creative. Fast turnaround. Professional and great voice. We look forward to working with you again in the future! Thank you very much for all of your help toward making our holiday greeting special. We are all very pleased with the work and are so happy we found you. Thank you Alex for great quality audio. would recommend Alex for anyone looking for professional recording that needs to fit to the brief, quickly and of high standard. Alex responded quickly to our urgent need for British voice talent. The sound quality of his audio file was superb, as was his meter and delivery. He nailed what we wanted right off the bat. We absolutely recommend Alex Warner 100% and look forward to working with him again. Great voice, good acting, easy contact and fast working, nothing more to say. I hope I will have a chance to work again with Alex! Great voice, great service and a pleasure to work with ! We have added Alex to our list of favorites. Thanks Alex for the Great Job done for us and the prompt and quick action. You really helped us with your professional quality VO. Our clients were very happy and agreed on your recording from the first time we presented our final work. All the best and hope to work more in the near future. Excellent talent. I encourage you to give this man a go because of quick turn around time, easy communication, wonderful production, and on time delivery. Thank you so much! Alex was a pleasure to work with. He was prompt in responding to our request and the turn around time on his recordings really helped us hit our tight deadlines. With only a bit of discussion he understood the style and tone of voice we were looking for. I would recommend him to anyone looking for a talented and efficient voice over artist. Alex is a fantastic artist. He is extremely professional and his sound recordings are of the highest quality. He can turn things around quickly via ISDN and is always so helpful. Alex is a versatile artist who brings a touch of class to every project. From the first take it was clear that Alex was bringing something to the party. 'Getting it'? No problem. Directable? No problem. And when the client signs off on the first mix? It's a good day at the board. Alex won the parts for 11 characters in the pirate adventure game Jolly Rover, nearly half the total characters. I was very happy with Alex’s performance on Jolly Rover and look forward to having a similar opportunity for him in future. Absolutely brilliant. Really fast turnaround, and because this was our first time using a voice over artist we inevitably made mistakes which Alex didn't mind and made the necessary corrections. End result is excellent - will definitely use again. Alex was great to work with. He talked us through the process and got our voice-over back to us in less than 24 hours! We feel like we got incredible value and couldn't be happier with the results. We will definitely be calling Alex next time we need a professional audio presence. Alex was truly a pleasure to work with. I was looking for a great voice actor for my independent video game, and when I found Alex, I knew I had found the person to get the job done. His turnaround time was just less than 24 hours, I was truly impressed. I look forward to working with him in the future. Your voice and accent is perfect for our product presentation to an international audience of English speakers. Your audio file had a very fast turnaround time and very good quality. Thank you! This British Voice Over Guy's characteristic baritone voice has our listeners spellbound and hooked to their speakers and headphones, as the audio book chapters unravel you will be disappointed that the end is near. Alex's professionalism and swiftness of delivery coupled with his uncanny ability to know which style of voice fits the audio book script makes him a one stop shop for audio book productions. Fantastic sounding voice, great audition, perfect delivery of the script with little direction given. Turnaround from awarding the job to the 5 minute voiceover being delivered was within 24 hours and excellent recording quality, levels and punctuation. In all, great to work with! Alex was great to work with. Even with my deadline being very short notice, his responses were quick and on time. He was very professional and gave me several options for my project. I would definitely work him with again. We were not only impressed with your voice talent, but more importantly with your level of professionalism. This job required a quick turnaround, and although we were in a different time zone, you were able to do demos and final voice-overs within 24 hours! You really brought this project to life and it was a pleasure working with you! Great work Alex, very accomodating excellent will be using you again. Great talent and very cooperative. Well done. Thank you so much for your fast and outstanding service, which you get an Oscar for (and the Oscar for the fastest service goes to Alex). I am really happy with the quality of the recordings and your voiceover. Alex was great to work with. Fast turn around, professional sound quality. Thanks! We selected Alex for our main role, and not without reason. The quality of his acting is simply outstanding. Even though it's only our second time working with Alex, we feel a level of trust that usual takes years to establish. This speaks volumes to his professionalism and the calibre of his talent. Great job, such a pleasure to be working with you again. Thanks! From his initial audition it was clear that Alex would be a great narrator for our children's book app. He not only took our direction very well but also used his intuition to enhance our characters, bringing our story to life. The few modifications we requested were spot-on. Very timely and professional. Alex Warner was a pleasure to work with. His quick turn around time and excellent grasp of the somewhat unique project which he was handed allowed me to not only deliver a great product on time to rave reviews, but feel totally calm and confident throughout the process. Thanks for doing such great work! Just great voice, great response. I am very happy with this job. Very Professional and done in a timely manner. We would use him again without a doubt. The beginning of a long-time collaboration. Excellent professional work. Bravo Alex! Thank you so much for the quick delivery. The quality of your recording is top notch and your voice acting is superb! Awesome work. Great work. Outstanding quality in a very short time. Alex delivered fast and was a pleasure to work with. Alex has a professional, concise, and confident voice. His work is precise and of high quality. Excellent experience working with him! Excellent voice-over work and great to work with. Alex Warner: The best option for english Voice-Overs, great professional and better person. Thank you, Alex. Nicely done. Alex was great, extremely professional, quick turnaround. His voice is strong and he interpreted the script exactly the way we needed! Great job, we are very happy with everything. Alex is a class act. Completed high quality recordings exactly as requested. Once again Alex did a great job... the project was beautifully completed.